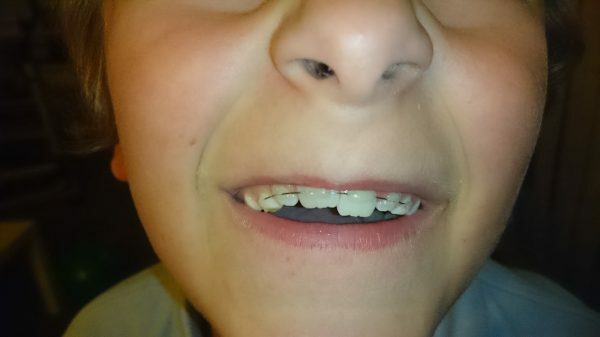 At school on Thursday he ran into a friend in the playground (literally, rammed them) and knocked two of his top front adult teeth loose. No biggie. It’s not like he needs those things for the rest of his life or nothing. Quickly raced him from school up to the dentist; three x-rays and two hours in the dentist chair later he was sent home with wire glued across 5 teeth to hold the wobbly ones in place. He’s lucky; teeth weren’t fracture, nerve looks fine, blood supply to the teeth wasn’t compromised, he should make a full recovery! BUT – he’s not allowed to bite or chew anything for the next two weeks. Not even a sandwich, or banana. Definitely not crackers, carrots and apples. Fun fact – that is most of what he eats. Day 1 was okay. Jelly, custard, ice cream and yoghurt were on the menu. The novelty of that wore off at bedtime when he announced he had a sore belly. Not really a surprise. We’ve since added scrambled eggs, soggy weetbix (yes, kid won’t eat most food, but thinks soggy weetbix are appetising) and macaroni pasta to his diet. 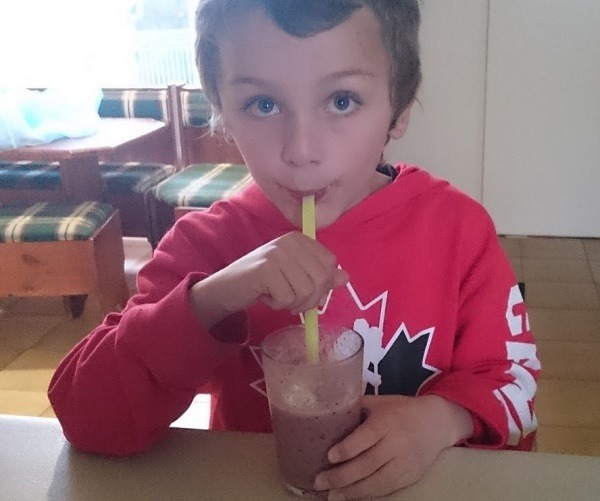 Fruit smoothies have been going down okay too. We’ll have risotto for dinner tonight and then I’m officially out of ideas. If he wasn’t fussy he could eat all manner of soup and stews, over cooked pasta with spag bol. I’d be grating veggies into everything. Cutting up meat finely in the slow cooker. We’d have options. But he is and we don’t. And kid isn’t just regular “I don’t like it”, but will have a go, kind of fussy eater. He’ll gag and dry retched if his hot chips are undercooked. He’s literally vomited in his plate because we encouraged him to eat a pea… a single pea! In a normal week at least 20% of my brain space is occupied by trying to feed him enough that he can continue to thrive, while also not pandering to his every whim… balance and all that. It’s hard. Now we have no balance and I just don’t know what to do. Oh my gosh that would be a nightmare!! Oh the pain!!! Tough enough to feed them at the best of times…can’t even chocolate bribe!! Terrific there is no long term damage. Oh god, I have a fussy eater without that condition and it’s hard enough! Oh I feel for you! I have had issues with my wisdom teeth and am a fussy eater haha. I’d hate to have to deal with the toddler/young child version of me!